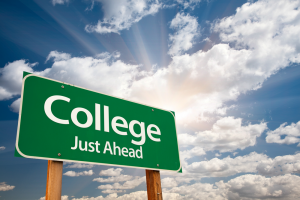 With college acceptances in its wake, April brings an end to all the months and years of planning, studying, preparation, and the emotional roller coaster ride of college admissions process. While the competition to apply to colleges has increased dramatically over the last couple of decades, the reality is most students will get accepted to more than one college they applied to. Chances are you too have received more than one acceptance letter and now have to decide where you really want to go, which college offers you the best fit for who you are and what you need. Even if you have visited the campus before, visiting the campus after you have been actually accepted will feel a lot different. (Re)visiting schools after being accepted encourages you to see the campuses with a critical eye, visualizing yourself in each setting. While you’re there, it’s a good idea to talk to current students about their experiences and meet with the faculty who teach in your prospective program. What are the core class requirements for freshmen? What kinds of student support are available in case help is needed? Besides classroom-based learning, are there service-learning opportunities, such as field research, community involvement, and internships? What options are available if you decide to change your intended major later? Take advantage of “overnight” opportunities – If your top pick offers a night at the campus in a host student’s room, try to work this into your schedule. The “off-the tour” experience of the dormitories will give you insights into what it would really be like to live there. While colleges encourage students to join them on Facebook/ Twitter, it’s a good idea to seek-out chat forums set up on “Group Me” etc., where students connect at your top picks. Talking to current and prospective students can help you gauge the cultural and social climate of the campus; like you, every school has its own unique personality. It’s important for you to find one that fits your point-of-view. Retention Rate – Percentage of students that return to the college in their sophomore year. Graduation Rate – Percentage of students graduating from the school in 4 yrs., 5 yrs., and 6 yrs. Placement Rate – Percentage of graduates who are working in their fields or who have been accepted into graduate programs. Pursuing a college education will be one of the biggest investments you will ever make. When narrowing your choices, be sure to compare the financial aid packages offered by each of your top picks. Carefully consider loans, work study programs, etc., weighing the yearly out-of-pocket costs against the perceived value of attending one campus over another. The true value of attending a college goes beyond the classroom education. These years will foster change through experiences and personal growth, through making decisions and learning to live with the consequences, and by building relationships that will last throughout your life. In other words, where you choose to attend college is not as important as what you do when you get there. Let your heart and mind work in harmony as you evaluate your options and make your decision. Please keep us posted; we can’t wait to find out where your journey will begin. Newer PostShould You Send Scores to Colleges When Registering for SAT/ACT? Older PostWhen Should You Take The SAT,ACT With Essay?